Do you ever dream of doing a do over? Do over a room in your house and take the style in a different direction? Since most of our renovations are less than five years old, it wouldn't make sense to do over much in our house. But it is fun to dream about it. 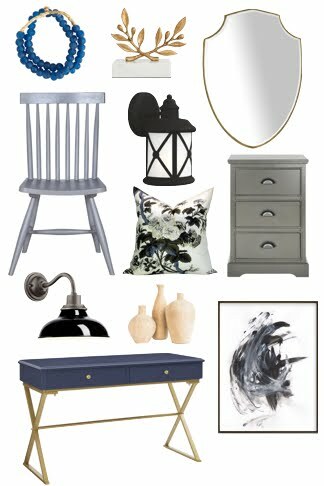 Bringing a coastal vibe to the back porch has me wanting to take this breezy look into other parts of our house. 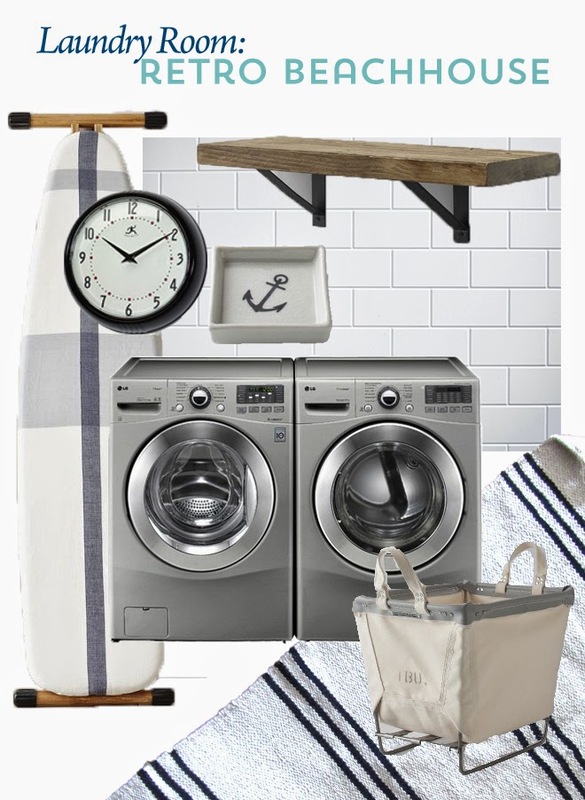 The laundry room is an easy candidate - it already has that beachy feel with the aqua glass tile backsplash. I'd take it down a notch, make it a bit more laid back with these few elements. White, blue, and black is my jam these days. How about you? What room would you do over in your home?